Plane failure at the Afton Mountain cut slope along I-64 near the town of Afton in Virginia. 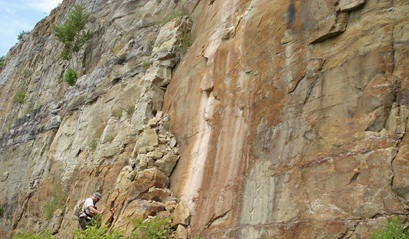 Plane failure within a slope consisting mostly of sandstone in Columbiana county,Ohio, along US route 7. 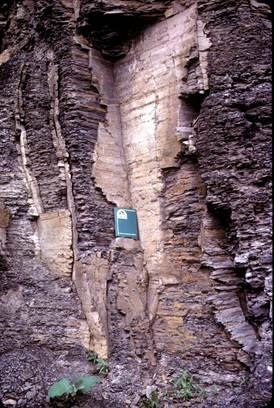 Wedge failure in shale bedrock, State Route 2, West Virginia. 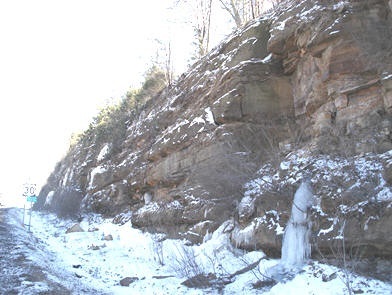 Toppling failure within a slope consisting mostly of sandstone in Richland county, Ohio, along route 30. 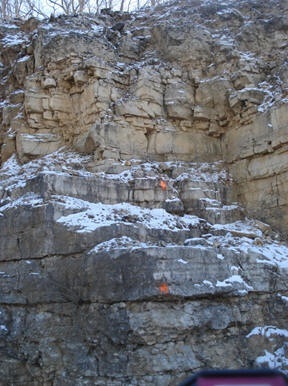 Toppling slope failure within a slope consisting mostly of limestone in Clark county.Ohio. along route 4.